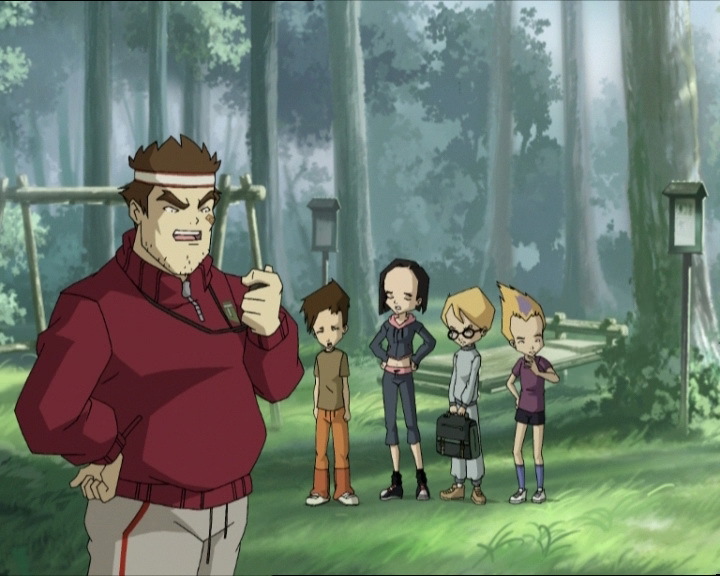 Jeremy is convinced that the band of Lyoko Warriors needs to get into shape to better fight against Xana. Who better than Jim, a former Special Forces drill sergeant, to whip them into shape? Our heroes—including Jeremy—find themselves enlisted in a “commando camp,” that soon shows our young recruits where their limits lie! While training, they also have an opportunity to discover more about the life of their drill sergeant gym teacher. 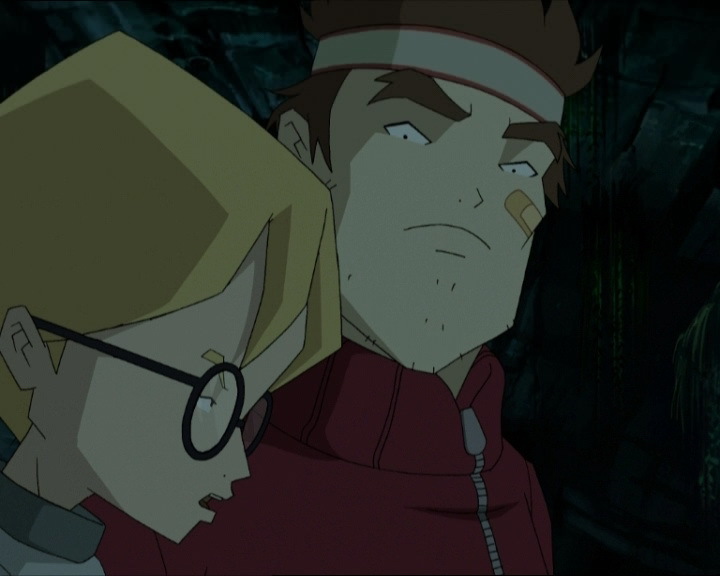 But soon enough, Xana attacks… And while Jeremy stays behind to assist a wounded “GI Jim,” the Lyoko Warriors will have to apply their newfound skills in order to reach the factory. In the woods, a sweat is being worked up! However, Jim has nothing to do with it and XANA even less so: it’s Jeremy who has made the decision to train his friends in the woods. When they get back to Kadic, the friends try to make him understand. But he takes the problem by the horns: they need a coach worthy of being called as such…a specialist! Aelita seems to have an idea. We find the heroes in front of Jim’s room. Jeremy asks the sports teacher if he’ll accept to form a commando group with them, him as their sergeant. Touched by his memories of years as a Special Forces instructor, Jim accepts and wastes no time in organising a session that afternoon in the woods! And it’s for EVERYBODY. Jeremy is suddenly ill at ease: he’ll have to undergo the training. Giving in, he takes his computer in his backpack and goes to the Redtrail Crossroads with his friends. GI Jim’s training starts with shouting: the heroes arrived three seconds late. The exercises can commence: a long jog followed by a series of exercises during which Jeremy cracks and collapses! The six start out on a long jog again on rough terrain. Odd joins Jeremy at the back of the ranks, exhausted: he’s eaten too much. The exercises then get a little more specialised! Balancing, crawling, climbing, crossing a bridge of ropes. The heroes each take their share of bullying. Their cheeks sport large red areas from exhaustion. It’s finally time for a real break. Yumi then convinces Jim to talk to them about his long and exciting life a little. The teacher is lost in anecdotes. But nothing can disturb Jim and when the break is over, the heroes jog off again, except for Jeremy who leaves a little later after checking his computer: activated tower! Ulrich then distracts the pig and runs off into the woods… He finds safety up high, beating his vertigo. Jeremy drags Jim into a cave. He’s delirious and believes the blond to be the president… Aelita, Odd and Yumi cut through the woods to reach the factory and their training bears its fruit, the road strewn with difficult obstacles. On its end, the boar leaves Ulrich and heads back to where Jeremy and Jim are. Ulrich takes the opportunity and runs to the factory. 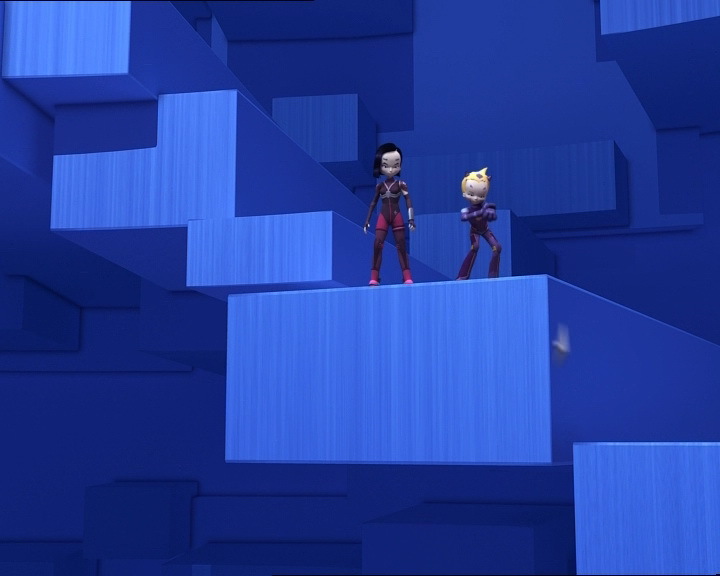 Arriving there, the Lyoko Warriors find it’s worse than they thought: as well as attacking on Earth, XANA has sent William to take care of Lyoko’s Core, on his Manta, flanked by three of the blue monsters. Ulrich and Aelita travel through the Forest Sector, but they don’t see the tower. On the other hand, they run into Krabes. Not wanting the duel to drag on, they destroy them and continue their search. In the Core Zone, Odd and Yumi confront the Mantas. Yumi destroys one. Odd then jumps onto another and causes it to fire at one of its fellow monsters. Unfortunately the catboy is devirtualised by one of XANA’s monsters, his shield yielding to the powerful lasers. In the Forest Sector, there’s still no trace of the tower. Ulrich and Aelita make an about turn: the tower must be near the Krabes they ran into… Arriving there, the Overbike is violently destroyed by a laser. One of the Krabes devirtualises Ulrich. Aelita finds herself alone against two monsters. She destroys one of them by attacking from beneath, but the second resists. In the woods, the boar tracks the scent of its prey. To protect Jim, Jeremy runs off, the boar on his heels. The teacher admires his student’s courage. Jeremy seeks refuge on the rope bridge, but the boar repeatedly rams the trees supporting it. Jeremy almost loses his grip. Just before he falls, Jim appears and despite his broken leg, put in a splint by Jeremy, he has a go at the beast, before being knocked out for good. The XANAfied animal then charges at Jeremy. At the same moment, William raises his hefty sword at Yumi. She dodges, pushing her enemy back. William gets his sword back and blocks one of the Japanese girl’s fans. 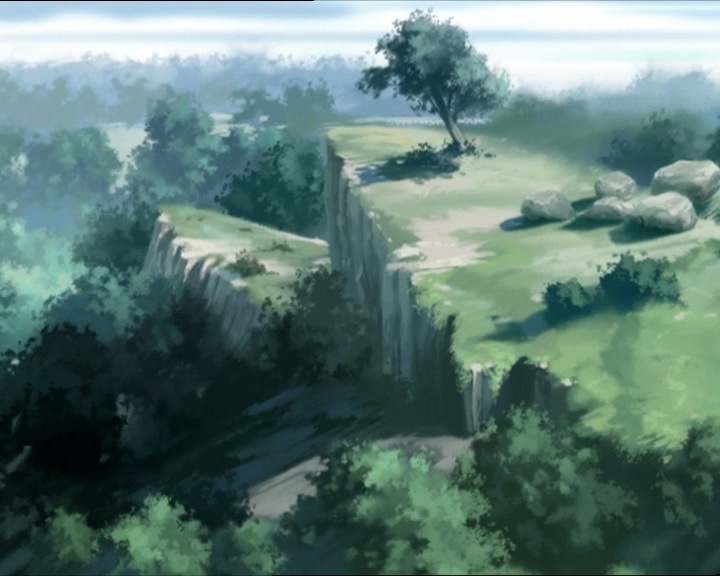 He charges, dodging the second fan, jumping and diving towards Yumi, certain of his victory. The girl then surprises him, jumping to the ground and using both legs kicks William behind her, a variant of a martial arts move. The XANA Warrior then takes the brunt of the fan he’d avoided before. In the Forest, Aelita finds the tower! 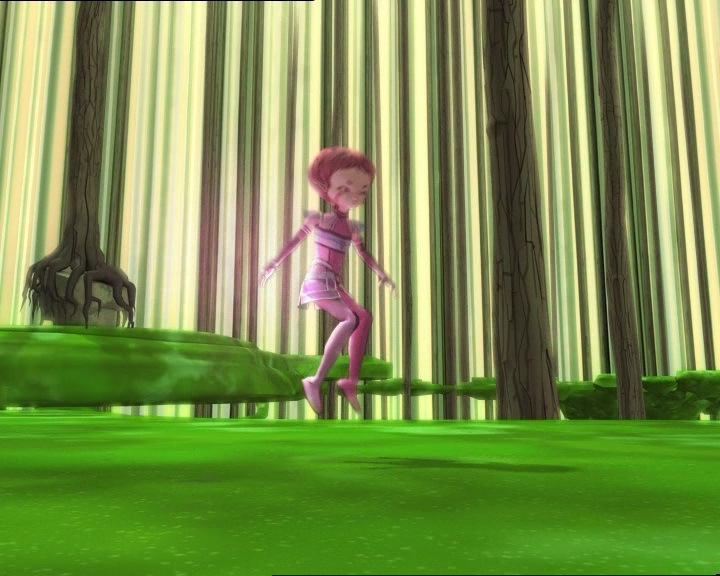 XANA made it invisible, but one of Aelita’s shots missed and covered the tower in a pink aura from her energy fields. 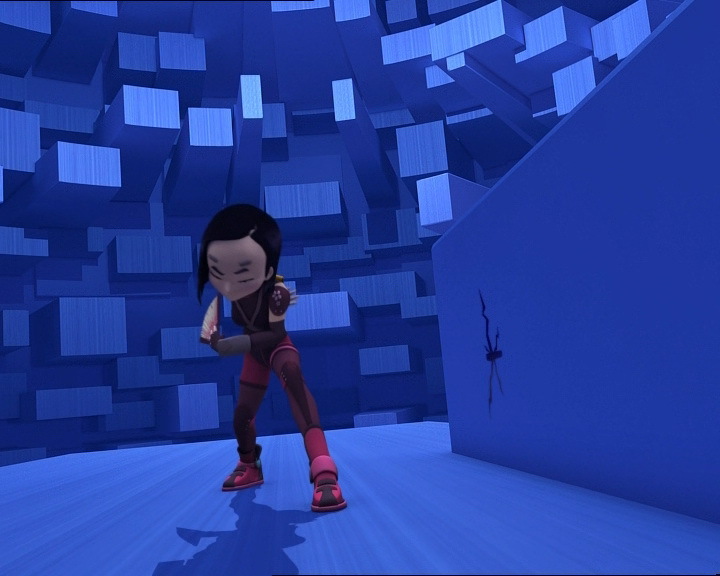 Escaping the Krabe by immobilising it, the Princess reaches the tower and types in the Code Lyoko. Back to its normal self, the boar flees into the trees. - Attack: Possess a wild boar! - First time Yumi defeats William. - Third time Odd rides a Manta. - Third season 4 episode in which Sissi is absent. - Once again, XANA has made the tower invisible. The first time was in episode 40 “Attack of the Zombies” and the second in episode 47 “Tip-top Shape”. - This episode shows us more unexplored parts of Jim’s life, also touching on points already mentioned in the series. The teacher was an instructor in the SIF (Secret Intervention Service). He has also orbited the Earth. During a long monologue, he describes in more detail how after he completed his physical training instructor training, he was a licensed scuba diver and worked for the marines, then he was recruited by NASA, testing spacesuits underwater. The president then gave him a medal and he was appointed to the Secret Service. Further on in the monologue, he describes how he was a dance teacher in Buenos Aires, and of course a forest ranger in Quebec where he used caribou faeces to surprise arsonists (and he prefers the smell of that to peppermint!). Also note that Jim has Indian ancestors and that he went to the Burmese jungle where he found large wild boars! - The door to Jim's room often changes colour (blue, dark blue instead of grey). 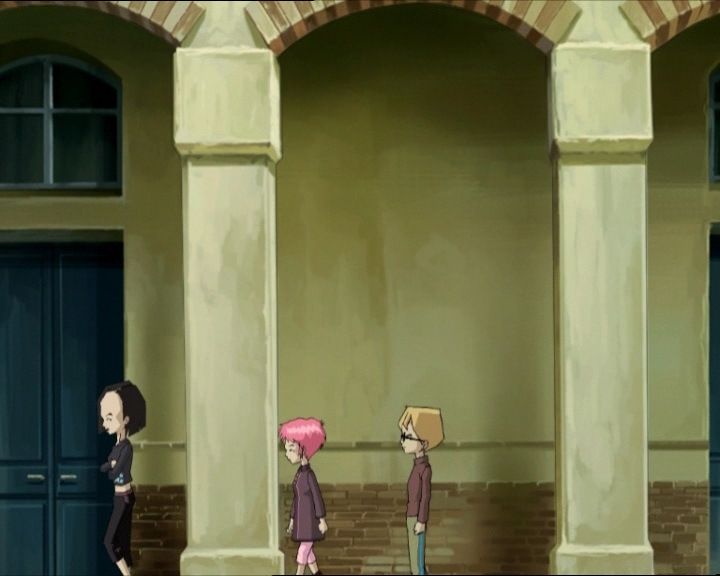 - The marks under Aelita's eyes disappear when Ulrich asks where the activated tower is. - At the moment when Jim throws himself at the boar, his band-aid is on the wrong cheek and the green K on his jacket is on the left instead of the right. 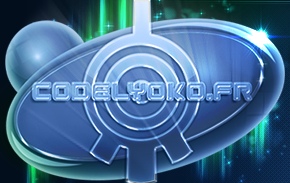 - Only attack on the Core of Lyoko in season 4. Final time this happens in the series. - First use of Odd's shield in season 4, and also the first time it breaks. - Second time a vehicle enters the Core Zone! - Third time XANA makes a tower invisible. - The episode title is Jim's favourite phrase. - Odd rides one of the Mantas exactly like in episode 55 “Tidal Wave”. - The music Jim is listening to in his room is Glad When You're Bad! The song Odd downloaded that XANA used to induce comas everywhere in episode 18 “Killer Music”. We then hear the music from his film: Paco, the King of Disco! Allusion to episode 45 “Cold War” where he spoke to the students, the principal, TV and Edna about the time when he was a guinea-pig for a spacial training programme. - During Jim's flashbacks, we see him in New York in secret agent uniform and behind him we can see the World Trade Center, which is two twin towers situated in Lower Manhattan in New York, in the United States of America. It was destroyed on the 11th of September 2001 by suicide bombers. The accordion is a musical instrument that uses wind to produce sound from a keyboard. A biplane is an aeroplane with two pairs of wings, one above the other. Jeremy: You guys are ridiculous! You’re way too slow! What a bunch of snails! ‘Cept you, Odd, even a snail runs faster than you! Odd: Since when does the least athletic person in the world think he’s better than I am?! Ulrich: Hey, that’s true. Getting a little carried away, aren’t ya, Einstein? Yumi: Maybe there’s a better…a better way of getting in shape! Jeremy: I get it! You’re just badly trained. And if you guys can’t keep up, it’s my fault! Ulrich and Odd: Well yeah! Jim: Nothing can surprise me since I orbited the Earth. Jeremy: Well um…well we heard that you were once a Special Forces trainer. Jim: That’s right! Special Forces, the SIF! Secret Intervention Force. Hehehehe…ah, those were the good old days! But that being said, I’d rather not talk about it. Jim: Especially you, Belpois! I never imagined that anyone could ever turn you into a man! A real one! Jeremy: No, you don’t understand! I was talking about training the others, not for me! Jim: This training course is for everybody! Odd: Ha! This’ll do wonders for you, Jeremy! Now you’ll be able to put your stopwatch away for a little while! All right! 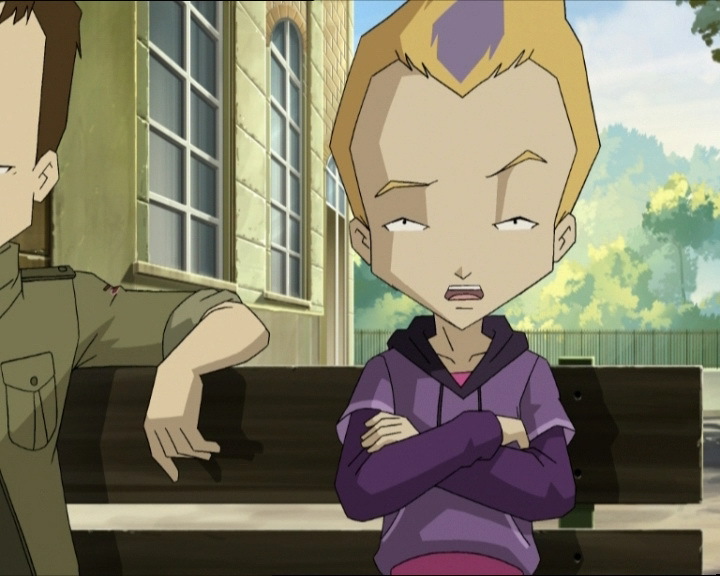 Aelita: Don’t worry Jeremy, Jim’s commando camp can’t possibly do us any harm, huh! Jim: I have never seen a weaker pack of legless slugs in my life! 1500 hours sharp does not mean 1502 or 1503! Jim: Your watch doesn’t watch with me, Della Robbia! 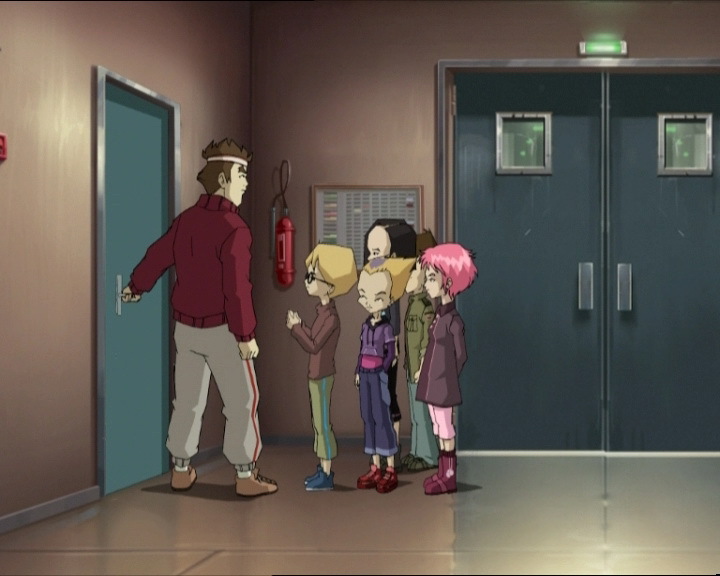 Jeremy: No Aelita, it wasn’t just a mistake. It was a huge, colossal mistake! 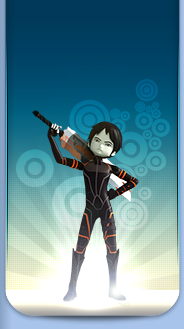 Aelita: Jeremy, are you ok? Jim: Hey, what do you think you’re doing, Belpois? This is only the beginning! Yumi: Jim, don’t you think you’re overdoing it? We want training, not torture! Jim: From this moment on, we live and die together as a group, got it? Odd: Ok, ok, no need to get carried away! Jim: YOU GOT IT, ODD?! The heroes (at attention): Sir, yes sir! Jim: Get those knees up, you soft-shelled crabs! Go on! Hey Belpois, you couldn’t even outrun a one-legged chicken! Hehehe! Left, right! Left, right! And left right! Jim: Young lady, it’s adversity that creates strength and courage, and that’s the shortest path to fame and glory! Jim: Cut the clowning, Della Robbia! This is not a circus! Stern, don’t be a wimp! You’ve got nothing to be afraid of except a sore bottom! Come on, Belpois! No use hanging there like a wet sock on a clothesline! Move it! Get the lead out and crawl! Faster, you hear! Stones! I said “on top of it”! …and believe me, Rosita Banana didn’t just play the accordion, she was also a heck of a pilot! When I arrived in Buenos Aires with my cameras, her biplane bowled me over! Jim: Hm…oh relax, it’s nothing! I had it much worse than this when I was in Burma! Jim: Come to Jim, little piglet! Here, little piggy! 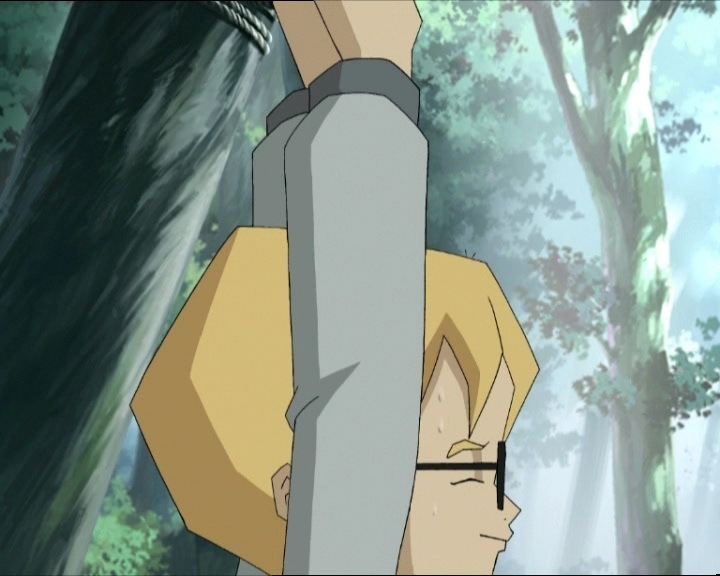 Aelita: Hey Ulrich, you’ve got a great arm! Yumi: Good thing you’ve got fast legs too, go! Jeremy: Jim! Get up, Jim! I’ll help you! Jim: Yes, mister President! The mission has to go on whatever it takes…even if it costs me my stripes…! Jim: Pretty good splint there, Belpois! I haven’t seen work like that in a long time. You never worked with the Magyar Commandos, did you? Jeremy: No, it’s just a question of common sense. An injured joint won’t get any worse if it doesn’t move. Jim: Exactly! You would’ve made a good soldier, Belpois! If only you had a little more muscle. Yumi: What about the tower? Ulrich: No, not alone! Old, reliable Ulrich is here. Jeremy: Bad news Jim, our camouflage is useless! 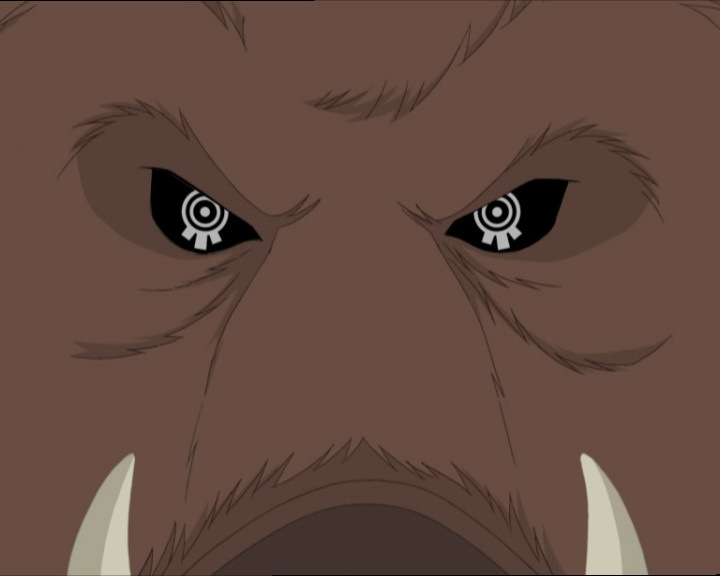 The boar’s sense of smell is going to give us away! Jim: It sure will. There’s a good chance of that…a better than even chance. Jeremy: We’ve gotta find a way to hide our scent…but how? Jim: If we had a little caribou poop, we could cover ourselves with it. Jeremy: Uh…did you say caribou…poop? Jeremy: That’s good. No way am I gonna smear myself with any kind of poop! Jeremy: I like it much more than caribou poop, don’t you? Odd: I feel a lot better on this machine that on Jim’s ropes! Jim: Hey, are you delirious or what, Belpois? Jeremy: Uh, just daydreaming, Jim. W-why don’t you tell me about when you were in Canada? Jim: Ah! Well, that is a long story! Odd: Whoa! Beware of falling objects! Odd: Hey, isn’t that your boyfriend up there? Yumi: He’s not my boyfriend! He’s a little too clingy for me anyhow! Jim: And that’s when I found out that as far back as a century, I was a full-blooded Indian! …it looks like your little trick worked. Jeremy: Yeah, the mint smells strong enough now to trick him, but how much longer will it last? Jim: Well anyway, one thing about caribou poop, it lasts a long time. Jim: He found us! What do we do now? Jeremy: AAAAAAHH! YAAAH! Hey, what’re you waiting for?! I’m over here! HEEEY! HEY! FOLLOW MEEE! Jim: Huh? That kid doesn’t have muscle, but he’s sure big on guts! Odd: I know, and I’ve got an idea! Yumi: Oh yeah? What’s that? Aelita: Got it! XANA’s pulled this one on us before! XANA-William: That was a volley shot, it’s all over for you! Yumi: …and I would call that wishful thinking, William dear. Jeremy: I promise never to eat pork again! Jim: Ok then, you piece of overcooked bacon! You thought I’d let you off that easy? Jeremy: I’m sorry Jim, but you never should have left the cave! Jim: Lemme tell ya kid, you’ve got guts. But if you think that I’d abandon my men under fire, you don’t know good old Jim! Yumi: Hey, you didn’t do a Return to the Past! You sure Jim has forgotten everything? Jeremy: Just the opposite, he remembers everything. And that’s the best insurance that there is. To him our wild boar was a crazy and dangerous animal, but a completely normal one! Aelita: Oh hello there, Jim! We’re glad to see you back on two feet again! Jim: More like three, huh! Jim: You may not have been up to the commando level, but you showed great spirit, you really did! As soon as I’m back in shape, I’ll organise lots of other training sessions! And I hope to see you all there! Odd: Uh, not me, I’m booked through the end of the year, I’ve got a…sleep session. Ulrich: A horror. I uh, too much of an honour! Jeremy: I’ll be there. I owe you one, Jim. Jim: Excellent, Belpois! I knew I could count on you, kid! Odd: I must be dreaming! “I’ll be there”?! Wow, you could’ve come up with a better answer than that! “No” for instance, or “never” or “nein” or “nyet”! Ulrich: He must really like Jim’s torture! Jim’s voice: Lemme tell ya something kid, you’ve got guts!